Here is your Taurus Horoscope for July 2018. Every month, you will find at WeMystic the astrological forecasts for your zodiac sign. In July, the direct phase of Jupiter will begin in the VII House of Taurus, which eases the pressure in couple relationships, and the hand of Venus in the V House of the sign (starting on 07/09) will guide the followers of the sign to reignite old flames of romance or have an encounter with a new love (for single people). Also, the entrance of the asteroids Juno and Eros to the sign of the bull (July 1st and 19th respectively), indicates a true commitment to one’s own well-being (physical, mental and emotional) and the rediscovery of sensuality. On the other hand, the passage of Palas and the Sun through the IV House of Taurus (where Mercury and the North Node are located), relates to a family reunion, reconciliation and connecting with your home as an oasis for the daily grind (yes, even if you have repairs to do or are planning on moving). Although Mercury will begin its retrogradation in this location (07/26), it is a planetary movement that will invite you to reflect on your preconceived notions of home, family and even country. Finally, the beginning of the retrograde phase of Chiron in the XII House of Taurus (starting on 07/05), will bring the repressed aspects of your personality and old grudges to the surface. When Neptune is in retrograde in the XI House and Mars is completing the same process (apparent retrograde) in the X House, it can be deduced that the available energy can lead to confrontations with friends, coworkers and hierarchical superiors. Do not add more pressure than what you already have, act with caution and prepare your plans privately. New challenges are approaching and you must prepare to vibrate in tune with the changes. Finances will remain stable for the sons and daughters of Taurus during the month of July. However, it is recommended that you do not abuse your budget, and it is a good idea to pay the most urgent payments at your soonest convenience. It should be noted that the asteroid Vesta will continue in retrograde in the VIII House of the bull, so a new dynamic in the management of assets or businesses shared with family or your partner will be imposed. This relates to establishing new agreements and obligations based on what one has in the present and what one wants to achieve in the long term. Some followers of the sign will ponder over the creation of new clubs. In this sense, remember that Jupiter is in retrograde in the VII House of the sign, which implies knowing the other person well before moving forward, both in terms of business and relationships (agreements will be revised when the planet of expansion enters into a direct phase on 07/10). In the workplace, the entry of Venus into the V House of Taurus (starting on July 9th), indicates the desire to show one’s talents, an intention aligned with the energy of Eros in Taurus (beginning 07/19) , which invites you to connect with your creative passion. It is important to note that Ceres is present in the same location (V House of Taurus), so the development of the subject’s natural abilities will be linked to what they can do or share with others (children or subordinates in the work structure). Eros in Taurus goes hand in hand with Venus and Ceres in the V House of the bull. It is a powerful astral sign which particularly favors those who perform in artistic or creative activities. On the other hand, Mars in retrograde in the X House of Taurus, represents conflicts with hierarchical superiors in the professional field. Since this transit happens under the influence of Aquarius, the inconveniences can be based on the management of work teams or the handling of the information. It is a good idea to practice moderation when dealing with superiors, and not to unload frustrations about other people, whether these are work colleagues or people that belong to your family or social circle. Keep in mind that with Neptune in retrograde in the XI House of Taurus, your actions can deeply hurt your closest friends and collaborators, and it will not be easy to compensate for these damages. Tension at work (Mars in retrograde in the X House) and the creative impetus of Venus and Eros in the V House, will encourage many followers of the sign of the bull to take concrete actions, such as changing companies, professional branches or creating their own business. As you well know, the South Node of Karma is also in the X House of Taurus (in the same way as Mars in retrograde), and this location is where the full Eclipse of the Full Moon will also take place on July 27th under the influence of Aquarius. The South Node contemplates those patterns that we must overcome in this incarnation, while a Full Moon Eclipse refers us to the culmination of cycles. The fact that the lunar event happens in the X House of Taurus, accompanied by the South Node and Mars in retrograde, translates as definitive changes in your (personal) concept of success, and addresses the call of your true vocation, beyond social conventions, comfort and fear of failure. Also, the partial Eclipse of Sun (which will occur on July 12th in the Cancer sign), will provide the opportunity to start a new learning process (academic or experiential), which will prepare you to face new professional challenges. The students of Taurus will face a period of great pressure, on top fo the fact that many will be finishing up their academic year. Anxiety for the future will be quite difficult to avoid. The increasing activity in the professional environment, and misunderstandings with members of the social circle will generate tensions that will negatively affect the physical condition of the follower of the bull. Muscle cramps and contractions in the back and neck areas will be the order of the day. Natives who have suffered spinal injuries should be especially vigilant this time of year. Do not hesitate to consult your trusted medical specialist, if there is any reappearance of old symptoms related to this type of ailments (muscular or joint contractions, constant pain). Therapeutic massages have a positive outlook for the month of July, however, it is essential that you verify that the therapy is administered by a qualified professional. 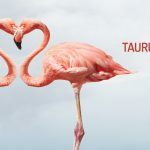 Shared family time and outdoor activities (hiking and picnicking, weather permitting) will have a relaxing effect on the psychology of Taurus. However, the entrance of the asteroid Eros to the sign of the bull (07/19) can lead them to overeat (particularly with drinks and desserts). Laziness and impulsive purchases will be just another of the negative edges that the passage of the asteroid of lust can project; but Eros, also invites you to connect with your creative passion and pamper yourself as much as you deserve. On the other hand, the beginning of the retrogradation of Chiron in the XII House of Taurus (starting on July 5th), represents the fear to face those aspects of the personality which are repressed. Recognition of them will allow you to advance. Chiron in retrograde in the XII House requires exploring what is hidden, and not using what happens on the outside as an element of distraction. The moment of internal work has arrived. The individual must decide if they are going to continue with old fears and behavior patterns, or on the contrary, if they prefer to bet on new ways, which will allow them to discover their talents and free themselves from past burdens. Recall that the asteroid Vesta is also in retrograde, but in the VIII House of Taurus, the area of the astral chart is linked to shared assets, trust, sexuality, secrets and taboo subjects. At this point we can say that the apparent retrograde of Vesta and Chiron implies entering the most remote spaces of the psyche of the follower of the bull, facing the demons themselves or falling into denial.